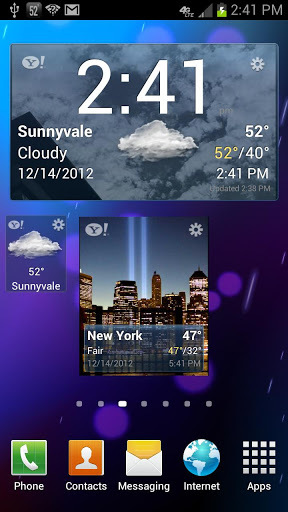 Featured Crowdsourcing Example: New, Pretty Weather App by Yahoo! Reading the headlines today, I was surprised to see the words “Yahoo!” and “gorgeous new iOS weather app” in the same sentence. Throughout 2012, Yahoo! has gone through ups and downs, as well as generated controversial buzz about CEO Marissa Meyer’s new rule concerning telecommuting. Today’s headline will surely bring Yahoo! back into the competitive edge. Yahoo! has launched their very own iOS weather app. What sets this app apart from its competitors’, is that it features visually compelling photos that Yahoo! obtained from a crowdsourcing initiative they launched in late 2012. Flicker’s Project Weather encouraged users to submit weather pictures from around the world. The photos submitted are used in the weather app as background images for the city the user is looking up. The weather in the photos also match the weather forecast of the day. Check out a video of the app here. With a combination of celebrities racing their cars, fans with smartphones, and a social media crowdsourcing initiative, Ford has managed to produce the first spectator-filmed commercial ever. The commercial features professional drivers Tanner Foust and Greg Tracy racing in Ford Focuses. Real spectators filmed the raced with their smartphones and some of the clips were chosen to be part of the commercial. Ford even chose eight people who were particularly active on their Facebook page and flew them down to Key West to experience the commercial shoot. Check out the commercial here. “Do Us A Flavor” was a very simple, but clever crowdsourcing initiative by the potato-chip company which asked their customers to come up with a new potato-chip flavor. Customers are also given the opportunity to vote for their favorite flavor amongst the three that made it to the final round via Lay’s Facebook page. AirBorne is one of the first novels built on crowdsourced writing. Author James Patterson wrote the first and last chapters, but let his fans write the other 28 chapters.